← I Did a Guest Post! 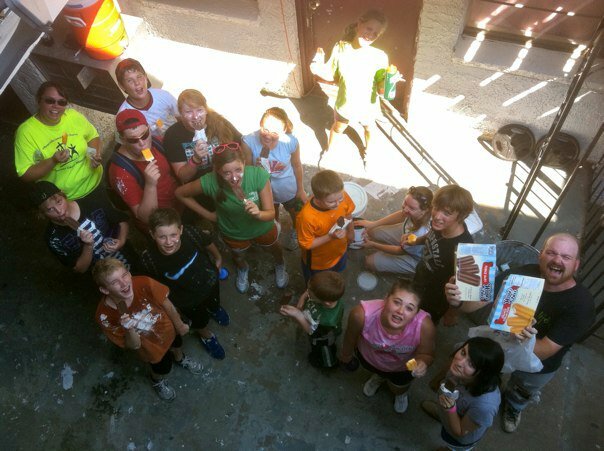 I just got back from a mission trip in South Dallas with a fantastic bunch of teenagers (NOT an oxymoron). 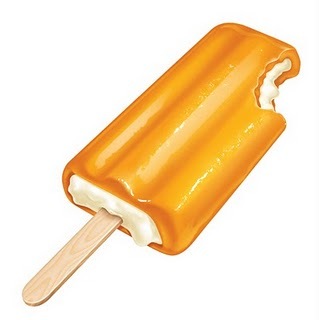 I could tell dozens of stories, but the one I choose to share here is about a Creamsicle that I ate, and why eating that Creamsicle was one of the most humbling experiences of my life. The first afternoon we were in Dallas, we headed over to an apartment complex to do some painting. This was no ordinary apartment complex. It was a former crack house. At one point it had the dubious distinction of being the address in Dallas with the highest murder rate. We were shown the unit where this terrible atrocity, the Bathtub Murders, happened. In its past, it was a place of drug warfare, death, destruction- a literal Hell on Earth. The same can be said of the apartment complex where we went to paint on last week’s mission trip. This building that was once known for the Bathtub Murders is now known as the Nehemiah House. It was purchased by Hands and Hearts Ministries whose goal is to “make an impact on those individuals and families facing issues of poverty, homelessness, and helplessness.” The Nehemiah House is used as a discipleship house for men coming out of rehab and a recovery programs. The residents are putting in time and labor to restore the units, one by one, making them whole and useful again. They are also putting the time into themselves, letting God make them whole and useful again. It is a place of rebuilding. But back to the Creamsicle.All afternoon we worked with Donald, one of the Nehemiah House residents. He is a man who is being rebuilt by God, leaving behind a life of addiction and despair, replacing it with one of hope. He supervised our middle school missionaries, working tirelessly alongside them as we painted the courtyard walls in the 100+ degree heat. Because of his past, Donald is still a man of very meager means, depending on food stamps to survive.And yet he was so filled with gratitude for our kids coming to spend an afternoon laboring alongside him at the Nehemiah House that he got our youth pastor, Destin, to take him to the local store so he could use his food stamps to buy Fudgesicles and Creamsicles as a thank you treat for us. For us, a group of comfortable, well-fed folks who really had no idea what it meant to be in need. In our Destin’s defense, he had no idea that Donald was going to use his own food stamps until it happened, and Destin tried to pay for the treats himself. But Donald would have none of that. He wanted to honor our group in this way. It was about 103 degrees, and the Creamsicle I ate after painting outdoors for 4 hours tasted awesome. When we left and Destin told us about the man’s sacrifice, I was very taken aback by Donald’s use of his limited resources. I was humbled by it and questioned it. But the more I thought about it, I saw some parallels to the woman who broke her expensive jar of alabaster that she then used to anoint Jesus (Mark 14, John 12). The disciples gave her a hard time for “wasting” the perfume and not selling it to give the money to the poor. Jesus defended her actions, saying that it was a “beautiful thing” that she had done. I think that Donald’s gesture, as humbling as it was, was also a beautiful thing. It was the outpouring of Donald’s changed heart.It was an honor and tribute not really to us,but to the beautiful God that he now serves, the One who rebuilt him, the One who wishes to rebuild us all.